A developer is unveiling its plans for 100 new homes on former green belt land off Charlton Road to the south of Keynsham at a public meeting this month. 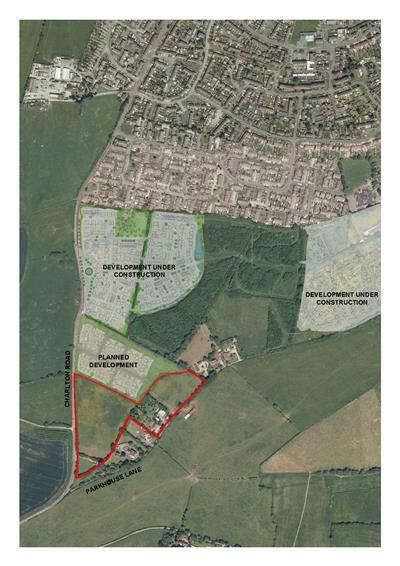 A developer is unveiling its plans for up to 100 new homes on former green belt land off Charlton Road to the south of Keynsham at a public meeting this month. Residents will get the chance to view Bloor Homes’ detailed proposals for the 4.3 hectare site, which was earmarked for housing in Bath and North East Somerset’s core strategy in 2014 and removed from the green belt. Mark Crosby of Consensus Communications said the exhibition would provide residents with an early opportunity to view the proposals. The meeting will be held at Keynsham Civic Centre’s Community Space, above the library, on Thursday, January 28, from 2.30-7.30pm.